The latest Tom Clancy game comes out March 15th, so take advantage of these pre-order deals before it's too late. UPDATE 3/7/19: A previous version of this article mentioned that G2A had The Division 2 available for $32.69, but that was factually inaccurate. Thank you to the Slickdealer who pointed that out, we appreciate your vigilance! A new mission from Tom Clancy is on the horizon. The Division 2 comes out on March 15th, 2019, and a whopping six different editions of the game will be shipping at launch. We're taking a look at all the best deals and bonuses available if you order right now. 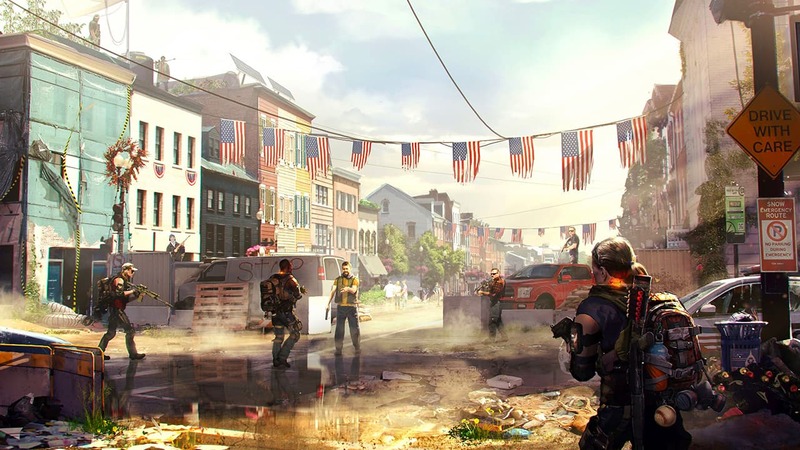 All pre-orders of The Division 2 give you access to the Capital Defender Pack, which includes one exclusive weapon and outfit. Additionally, pre-ordering the PC version will get you one of three PC games for free: Far Cry Primal, Watch Dogs 2 or Ghost Recon Wildlands. Unfortunately, the Dark Zone Collector's Edition is currently out of stock, but other editions are all still available for pre-order. Standard Edition: A copy of the game and the Capital Defender Pack. Gold Edition: This edition includes game access three days early and the Year 1 Pass. Gold SteelBook Edition: Same as the Gold Edition, but also comes with a SteelBook. Ultimate Edition: You get the three-day early access, Year 1 Pass, and additional digital content, including exclusive weapons and outfits. This edition does not include a SteelBook. Phoenix Shield Collector's Edition: Includes SteelBook, three-day early access, exclusive in-game content, Year 1 Pass, official game soundtrack, map of Washington D.C., lithograph book, and Agent Articulate Figurine (1/6 scale). Pre-order with Green Man Gaming to get 10% off of the Standard, Gold and Ultimate editions of the game for PC. That comes out to $53.99, $89.99 and $107.99 respectively. In addition, you can get 7% off the PS4 versions of those editions. That's $55.79, $92.99 and $111.59 for the Standard, Gold and Ultimate editions. Get $10 in My Best Buy rewards when you pre-order the Standard or Gold editions of the game for PS4 and Xbox One. Best Buy is also offering the $10 reward on Xbox One X and Xbox One S console bundles. If you have an Amazon Prime subscription, you'll get $10 in rewards credited to your account when you pre-order The Division 2. If you're a GameStop PowerUp Pro Rewards member, you can get $10 in rewards cash for pre-ordering The Division 2. PowerUp Basic members are eligible for $5 in rewards cash. The Basic membership is free, while the Pro membership costs $14.99 a year. Click here to sign up and learn more about this program. Members will receive a coupon in their Active Offers tab within seven business days after they pre-order.